I have known Luke since he was super young. I was on his mom’s YMCA cheerleading team when I was in elementary school and Luke would sometimes tag along en tow to practice and games. Our families have been friends for years, so when I was asked to take his senior photos, it felt like time had flown by completely! I guess sometimes you get so caught up in yourself growing up that you forget other kids grow up, too. I love this precious family and have enjoyed taking their photos over the years. 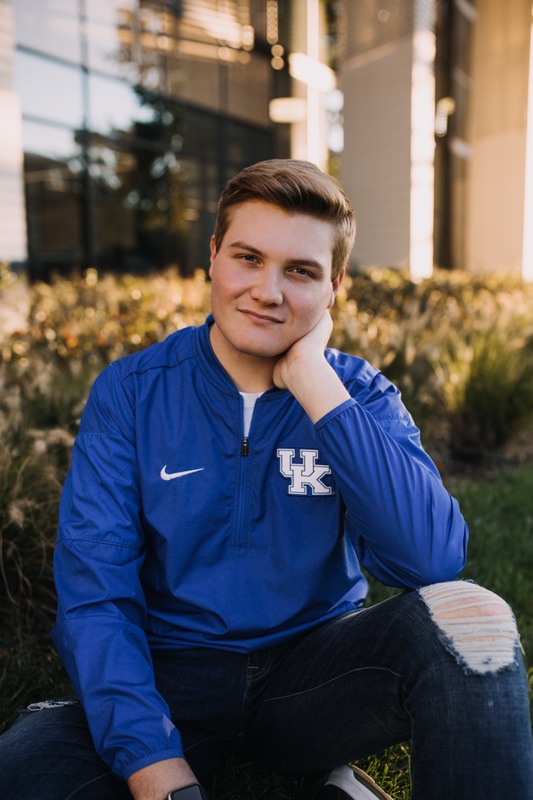 Luke is headed to the University of Kentucky this fall to start pre-med. I’m so excited for him and just know he will love city living here in Lexington. Being a college kid in Lexington (especially around basketball season) is tons of fun. I had a blast shooting these at my alma mater, and am stoked to see Luke see blue.